Mold and mildew thrive well in a damp and moist environment, they produce horrid odor, and they can cause disintegration of the interior materials of the boat. They are more difficult to control than prevented, and keeping your boat out of water does little at keeping them at bay. Mold and mildew can survive for years once they are formed, so, it’s advisable to prevent their growth. The boat should be thoroughly scrubbed and left to completely dry. It can be left for a whole day in the sun to ensure it dries completely; the sun is a great mold absorber. 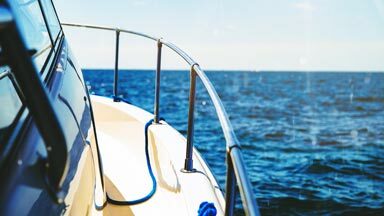 If you’re storing your boat over the colder months, ensure it is thoroughly cleaned with mildew/mold solution so nothing crops up during the winter. Seat covers can be used on the seats for added protection during storage. Mold loves to grow in an enclosed region and would easily grow in a closed boat, this is because air which is trapped inside the boat will hold moisture on which mold can grow thrive well. Boats that are left unattended to will encourage moisture through condensation process because air and water temperatures are continuously varying. However, adequate ventilation through the back of the boat will prevent mold growth and it is an ideal way of preventing mold and mildew growth in boats. Mechanical ventilation also helps to prevent mold and mildew growth in a boat, a non-electric vent can be installed on the hull to enable enough ventilation in the boat. Moreover, solar powered vents are a better option for ventilation in the boat although is imperative expensive to install and maintain. Prevention they say is better than cure, it is easier to prevent mold and mildew in boats than to stop it. Molds and mildews areusually encouraged by warmth and high humidity and, once formed, can survive for years, even if conditions change. They thrive so well in cooler weather, water leakages encourage mold and mildew growth and such leakages should be blocked and prevented to discourage the creation of enabling environment for mold and mildew. Rain leaking through hatches and port lightswill also encourage mold and mildew growth in the boat so the first thing to do is to locate all these leaks and ensure that they are sealed. A cost effective way to lower humidity level in a congested space in a boat is the use of chemical dehumidifiers. Chemical dehumidifiers such as calcium chloride could be used - and its main function is to first absorb the moisture and then direct it to holding containers and in turn remove the mold and mildew. In conclusion, it is still possible after employing all these preventive and curative measures that mold may still grow. Therefore, boat mold testing could be employed. Mold testing helps to identify hidden molds and what species it is. Alliance Analytical Laboratories is a mold testing lab near Grand Rapids located in Coopersville, MI. 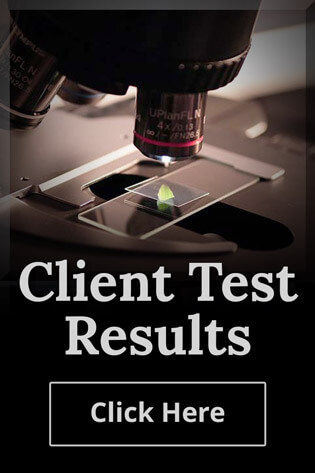 If you are interested in our Grand Rapids mold testing services, contact us here or call us directly at (616) 837-7670.